And in the end the only team left standing is the Boston Red Sox. I (Evander) doubt any major-league franchise and fan base have suffered as much. 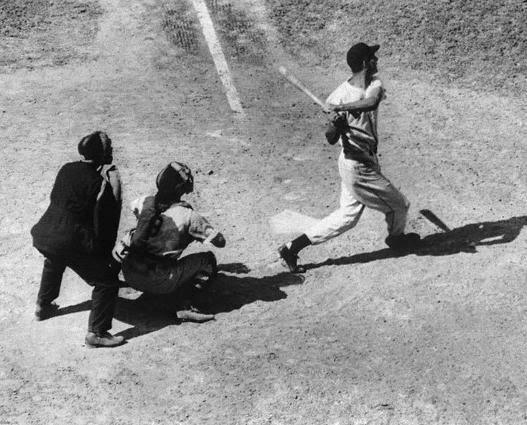 The club put The Curse Of The Bambino to rest in 2004 by beating the New York Yankees in unprecedented style: Winning a seven-game series when down three-to-nothing had never been accomplished before. The Swawx went on to add a second World Series in 2007. But winning it all at Fenway, and truly ending The Curse, took ninety-five years to reach October 30, 2013. Adding a flourish, the Red Sox went from worst to first within one short year, erasing a miserable 2012. Like Rickey Henderson, like Mariano Rivera, Ruthian David Ortiz, who hits everything in sight, is the best I’ll ever see at what he does: DH. Ortiz also played a nimble first base in St. Louis, a city with its own deep baseball tradition and a larger swath of success. But when Big Papi sent Torii Hunter flipping over the Fenway-outfield wall in the A.L.-championship series, the book on this season might as well have been closed. The World Series featured three events no one had ever seen: (1) an umpire’s call overruled by the five others on the field; (2) an obstruction play to end one game; and (3) a pickoff at first base to end another. Perhaps the only worse ending occurred in 1926, when Ruth was caught stealing to conclude the World Series in favor of the St. Louis Cardinals. The caught-stealing, however, ushered in the 1927 Yankees, among the greatest teams ever. There always seems to be redemption. The winners get to celebrate, having waited close to a century. I feel bad for a good friend and her family in St. Louis. Through everything, I wonder what the offseason will bring. There are whispers about, yes, Ortiz and PED. The suspension-appeal of Alex Rodriguez will make the wrong sorts of headlines. Boston itself is still recovering from a horrific terrorist attack. I’m happy everyone was able to put reality aside for one night in the most-venerable of ballparks, the oldest one also left standing. This entry was posted in Baseball, Right Off the Bat Website, Yankees and tagged Alex Rodriguez, American League, Babe Ruth, Boston Red Sox, David Ortiz, designated hitter, Fenway Park, Mariano Rivera, New York Yankees, Rickey Henderson, St. Louis Cardinals, Ted Williams, Torii Hunter, World Series. Bookmark the permalink.